High-rigidity, double column vertical machining center equipped with an automatic tool changer for angle tools. 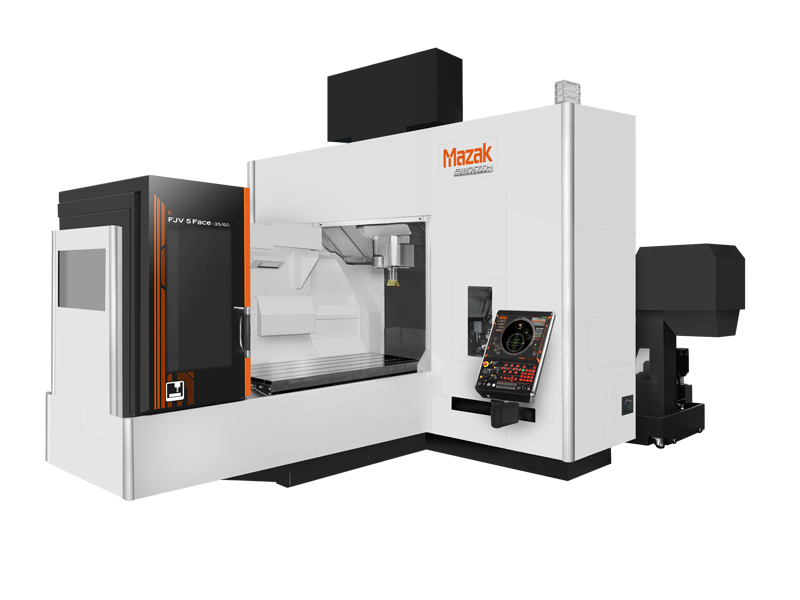 Simplified conversational programming of multi- surface machining thanks to the MAZATROL CNC. By performing multiple surface machining in a single workpiece setup, in-process time is considerably reduced when compared to conventional processing. Newest member of the FJV series which has the capability of machining 5-faces of a workpiece in a single setup. Multi-surface attachment (option) for increased productivity. Ergonomic machine design provides unsurpassed ease of operation in the machining area.